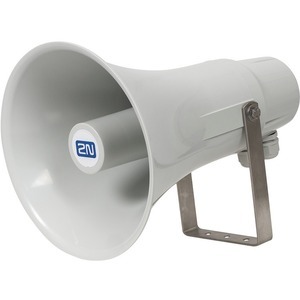 2N® SIP Speaker Horn is an outdoor speaker with exceptionally loud and clear sound. Use the speaker as a practical tool for broadcasting live announcements across large areas and actively protect your property. If an unwelcome visitor enters your premises, you can respond immediately with a live or preset announcement to promptly deter the trespasser. 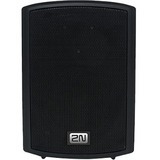 You can rely on the top-quality sound and excellent audibility. 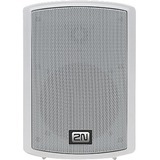 The 2N® SIP Speaker Horn outdoor speaker delivers the loudest sound of all IP speakers on the market (SPLmax 124dB). You can broadcast live and preset announcements. Announcements can be scheduled using the advanced planning function. Seamless compatibility with video management software (VMS) allows you to respond remotely to anything you see on your camera system with live or preset announcements.